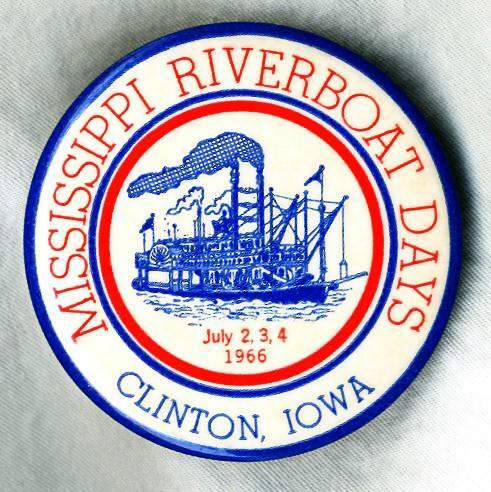 My favorite pin back which in style looks earlier than 1950 1.60 X 2.30 inches on folded edge on the back it says MIDWEST BADGE & NOVELTY CO. INC. - MINNEAPOLIS. Self evident pin back button from 1966. 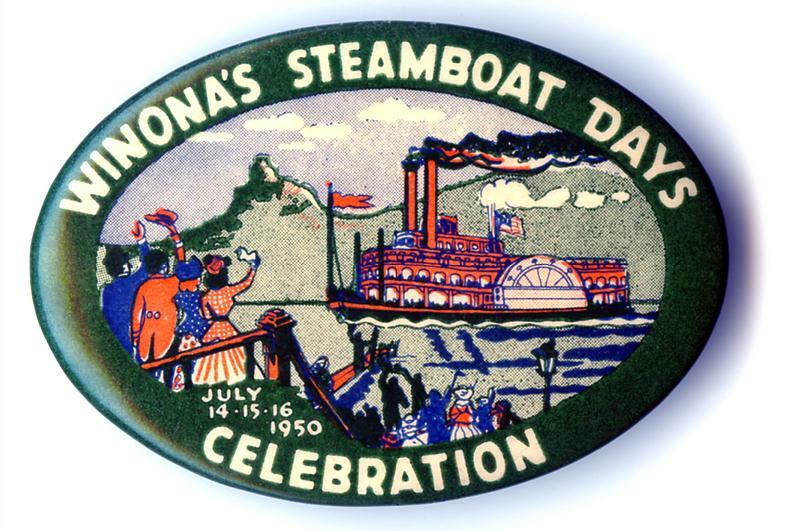 Once again it appears that the artist based the steamboat on the little White River (Arkansas) steamboat MARY WOODS No. 2 that was on display at Jacksonport, Arkansas until she sank and nobody wanted to pay the cost of restoring her so she was scrapped in 2011. The artist who painted the MARK TWAIN FOREVER postage stamp also used the MARY WOODS No. 2 as a model for his steamboat. 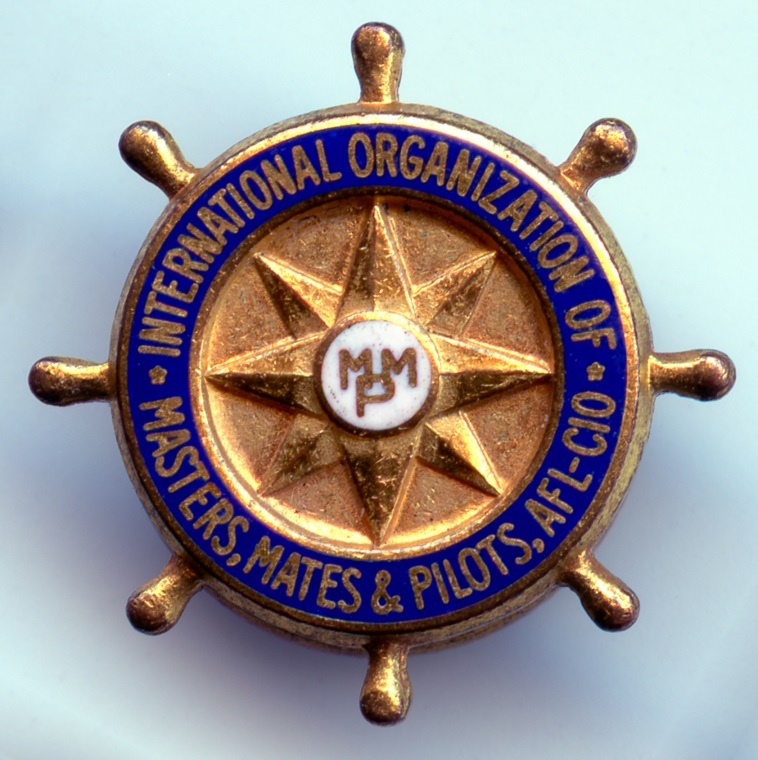 Member's lapel pin: International Organization of Masters, Mates & Pilots Lapel pin .65 inches in diameter for members of t he International Organization of Masters, Mates & Pilots or MM&P is a United States labor union representing licensed mariners. It is the marine division of the International Longshoremen's Association. MM&P represents licensed deck officers on U.S.-flag commercial vessels sailing offshore, on the inland waterways and on civilian-crewed ships in the government fleet; state-licensed marine pilots; marine engineers; mariners who work on tug, ferry and harbor tour vessels in New York Harbor and throughout the Northeast; licensed and unlicensed mariners who work on dredges; and maritime industry shore-side clerical and service workers. In addition, it operates two training facilities: the Maritime Institute of Technology & Graduate Studies near Baltimore, Maryland; and the Pacific Northwest Maritime Institute, in Seattle, Washington. It operates hiring halls in port cities in the continental United States, Hawaii and Puerto Rico. MM&P's historical roots lie in the frustration felt by steamship pilots who were criminalized for marine accidents but had no voice in policy. 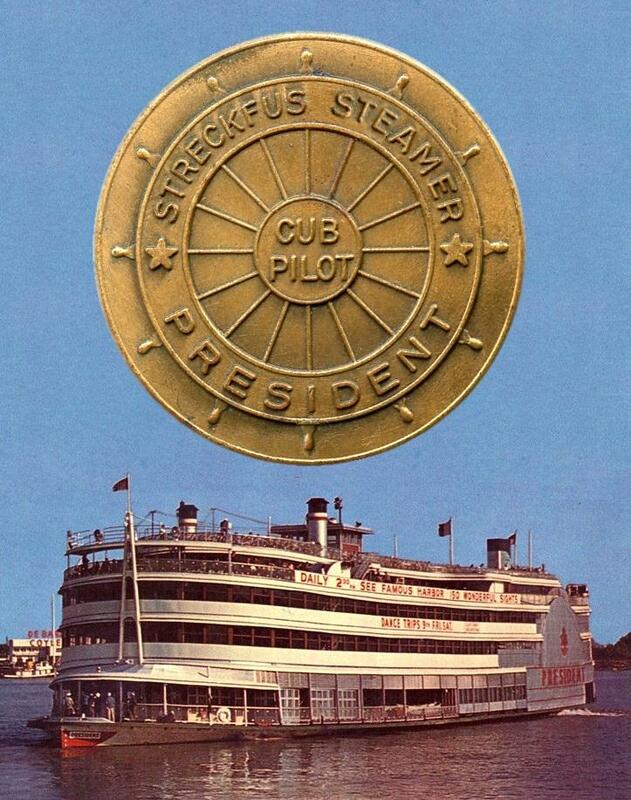 They organized in New York in 1887, forming the first local of the American Brotherhood of Steamship Pilots. As more locals were founded, shipmasters expressed interest in joining. As a result, in 1891, the fledgling union changed its name to the American Association of Masters and Pilots of Steam Vessels. 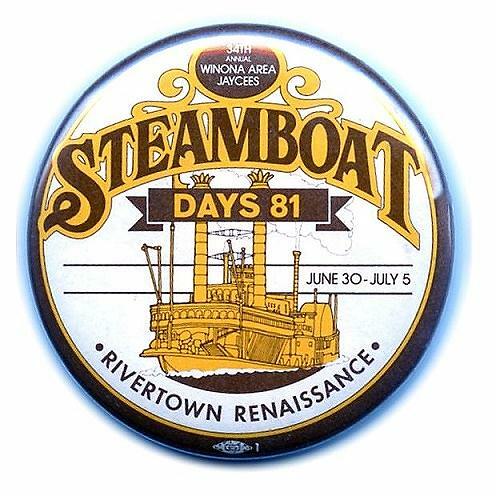 In 1900, it expanded once again to include all deck officers, and changed its name to the American Association of Masters, Mates, and Pilots of Steam Vessels. MM&P was active in the 1934 West Coast waterfront strike, joining in along with the Marine Engineers' Beneficial Association (MEBA) on 19 May 1934. Together, in 1937 the two unions became part of the Maritime Federation of the Pacific (MFP). The alliance, however, was short-lived. In July 1938, MM&P withdrew from the MFP, along with the Sailors' Union of the Pacific and the Marine Firemen, Oilers, Watertenders, and Wipers of the Pacific Coast Union. In 1954, the union added Canadian locals, and changed its name to the International Organization of Masters, Mates & Pilots. In 1971, by becoming an affiliate of the International Longshoremen's Association, MM&P was able to distance itself from the fight between the American Federation of Labor's (AFL) Seafarers International Union on one side and the Congress of Industrial Organizations's (CIO) National Maritime Union (NMU) on the other. The link has sometimes been tenuous: some 17 years later, when NMU joined MEBA, MM&P very nearly followed suit. International Organization of Masters, Mates, and Pilots, Local 6 (Seattle, Wash.) Records, 1964-1966 At the Labor Archives of Washington State, University of Washington Libraries Special Collections Guide to the Vernon R. Stedman Papers. 1933-1972. 1.21 cubic feet (2 boxes). After being sold to Streckfus Steamers, she received an entire new superstructure and came out on July 4, 1934 as the best excursion boat on the rivers. She could carry 3,100 passengers. In 1944, after she became the full-time excursion boat in New Orleans, her guards were glass-enclosed. In 1978 she was converted to diesel.